Homer is a free simple yet modern resume template. Black and yellow theme, with a two-column layout. 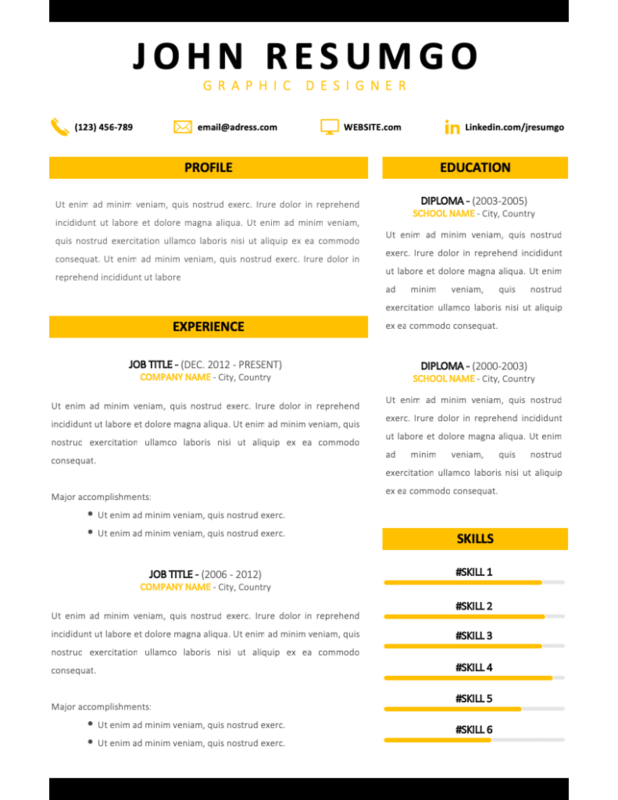 You are hesitating between a clean and a modern layout for your next resume? Don’t look further, this template delivers both promises! This CV template is created to make your content breathe (thus easier to read) thanks to a clear organization of your categories, and a 1.5-line spacing format (that you can adapt if you need your text to be more condensed for example). The categories are embedded in a simple yellow rectangle. And 2 black horizontal banners (top and bottom), bring a touch of modernity.